If you’re not keen on medications for osteoarthritis, or they aren’t effective and you aren’t keen on surgery, you may wish to explore holistic alternatives. In a survey conducted for Arthritis Today, the most recommended therapies forarthritis pain were glucosamine, capsaicin, acupuncture, tai chi, biofeedback, yoga, and mental health-enhancing modalities such as spirituality, journal writing and meditation. This is a supplement that is extracted from shell fish. 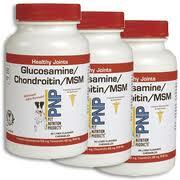 There is a vegetarian version of glucosamine for those on restricted diets or those allergic to shell fish. Glucosamine is a naturally occurring substance in the body that is used for the formation, maintenance and repair of cartilage. A study published in the Lancet gave 212 osteoarthritis sufferers either 1,500mgs of glucosamine daily or a placebo over three years. They found that the patients taking glucosamine had no significant joint space loss – their joints had not gotten worse over the three years, whereas the patients taking the placebo had progressively worsening joints. This is an extract of chilli peppers. 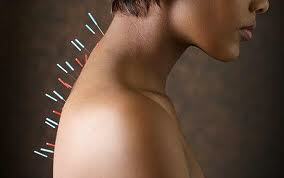 It is very hot and potent and is used as a treatment for arthritic pains. It is available in a topically applied cream and works by decreasing pain signals. When you first apply it, you may feel a burning sensation, but this should stop after first use. 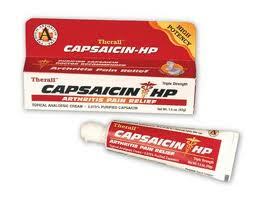 One of three clinical trials for osteoarthritisshowed a significant benefit for osteoarthritis patients using capsaicin. This is a Chinese martial art that has been found to have medical benefits. The idea is that simple movements, controlled breathing, and mental concentration combined can allow life force energy to flow freely throughout the body. Harvard Medical School referred to it as ‘medication in motion’ as it has been helpful in numerous medical conditions including low bone density, cancer, heart diseaseand arthritis. BMC Musculoskeletal Disorders published a study that found tai chi improved lower limb muscle function in patients with rheumatoid arthritis. 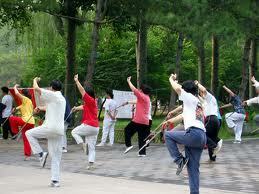 If you are interested, there have been various tai chi programs specifically tailored to people with arthritis. This is an ancient Indian spiritual practice meaning to unite body and mind. It involves gentle movements and positions that build up strength, balance, and flexibility in a similar way to tai chi. A study in the Journal of Rheumatology found it was helpful as a treatment for osteoarthritis of the hands. This is another mind/body alternative therapy. The mind and body are connected and many ill health problems are caused by stress or negative thinking. For instance, a study found that single men were up to 58% more likely to die by the time they were 50, compared to married men. This was in spite of the fact that they drank alcohol less regularly than married men, they exercised more, and they were less likely to be overweight than married men. For those who were middle aged and single, the biggest cause of early death was heart attack. Some mind/body experts theorize that this could be because they don’t have the same emotional support or fulfillment as married men and this is translating to heart disease. Biofeedback uses machinery to monitor heart rate, breathing, brainwaves and muscle activity in response to what is going on in the person’s life. This information is then ‘fed back’ to the person to help them change their reactions and thought patterns until they no longer need monitoring and can respond more positively to situations. 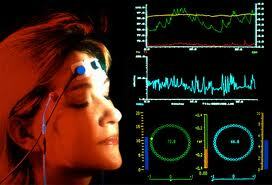 Biofeedback can be used forarthritis sufferers to help them relax and control their response to pain. Several small studies have indicated that patients using biofeedback have had a reduction in the pain of their arthritis. This is a form of relaxation where you clear your mind of all thoughts and distractions. This isn’t used to cure anything, but to reduce pain. Scientists from Wake Forest Baptist Medical Center published a study in the Journal of Neuroscience in which they found meditation reduced pain by 40%. They taught 15 volunteers to meditate in four 20 minute classes. Before and after meditation training, they examined the their brain activity with the use of a special arterial spin labeling MRI scan, more powerful than a regular MRI scan, with the ability to capture longer duration brain processes, such as meditation. During the scan they attached a heated device to the volunteers’ legs that heated a small area of skin to 120F, a temperature that most people find painful, over a 5 minute period. 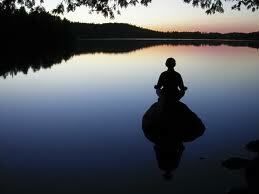 The scans taken after meditation showed a reduction in pain anywhere from 11% to 93%. The scans showed that meditation significantly reduced brain activity in the primary somatosensory cortex, an area that is crucially involved in creating the feeling of where and how intense a painful stimulus is. The research also showed meditation increased brain activity in areas including the anterior cingulate cortex, anterior insula and the orbito-frontal cortex. “These areas all shape how the brain builds an experience of pain from nerve signals that are coming in from the body,” said Robert C. Coghill, Ph.D., senior author of the study and Associate Professor of Neurobiology and Anatomy at Wake Forest Baptist. It may surprise you, but this has been proven to have clinical benefits and improves disease outcomes. The Journal of the American Medical Association said that writing about stress reduced a patient’s symptoms even four months after they wrote about it.Rheumatoid arthritis patients got a 28% reduction in their symptoms from writing, whereas the control group, arthritis sufferers, didn’t show any reduction. 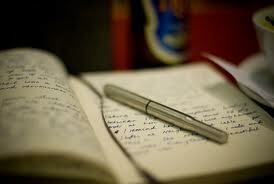 Asthma sufferers also had a 19% improvement in their lung function after writing about stress. This may be because they released their negative emotion and it helped to calm them. Yoga for People with Arthritis, The John Hopkins Arthritis Center, Page accessed 26th July 2011 – http://www.hopkins-arthritis.org/patient-corner/disease-management/yoga…. Joanna is a freelance health writer for The Mother magazine and Suite 101 with a column on infertility, http://infertility.suite101.com/. She is author of the book, ‘Breast Milk: A Natural Immunisation,’ and co-author of an educational resource on disabled parenting, in addition to running a charity for people damaged by vaccines or medical mistakes. My website is on Depression quotes.